Continuity mistake: Enter the Cheatrix: After Bart and Lisa have saved Professor Frink, Frink hands the strategy guide to Bart. Professor Frink activates the Rift Portal and Bart and Lisa walk over to it. At this moment, the strategy guide has vanished from Bart's hand. 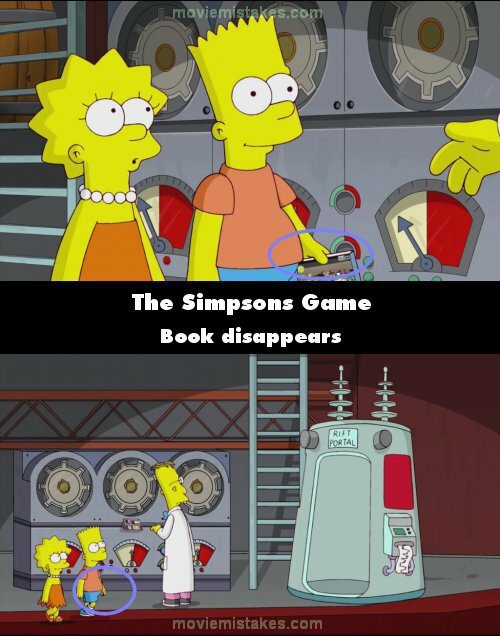 The guide reappears once Bart and Lisa have gotten in the Rift Portal.